Owner of a barbers? Want to add a classy and stylish aesthetic stating when you are open and what your prices are? This customisable shop sticker might just provide you with the answer! Customise it with your prices and your opening hours and never suffer confusion over anything again! 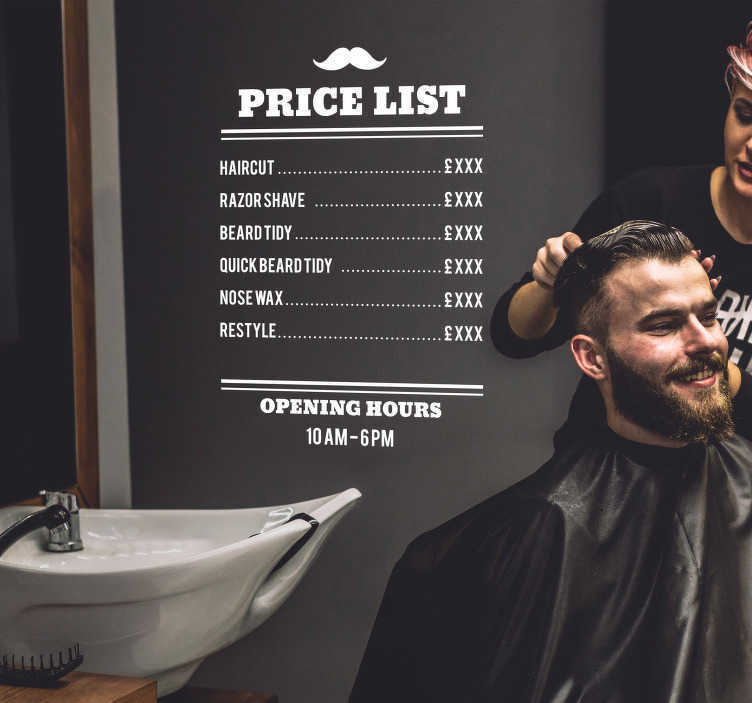 And it is not just applicable to barbers - Any shop providing a service like this one can use this superb piece of shop decor (we can remove the thematic moustache on request)!